BeeHighve CEO Rita Hall intends to bring Newfoundland honey and honey-based products to the market, some infused with cannabis, while others will be "buzz free." A selection of some of the products available from Corner Brook, N.L.-based BeeHighve Inc. There's a lot of buzz around a joint venture between two Newfoundland companies that want to bring cannabis-infused honey and honey products to local and global markets. BeeHighve Inc., based in Corner Brook, will be cultivating the cannabis crop, while G and M Family Farms, near Placentia, will supply the honey. "It ranges from pure honey to sauces as well as chocolate and health bars, and everything is organic," said BeeHighve CEO Rita Hall. "And everything is very healthy for you. We don't use sugar in our products." The partnership is the brainchild of Hall, a trailblazer who is on track to become the first Indigenous woman to gain licensed producer [of marijuana] status in Canada, as well as one of the country's few Indigenous female CEOs. Hall intends for Newfoundland honey to be the backbone of her operation, and utilizes it in all the products, including the flagship Nuts About Honey bars. 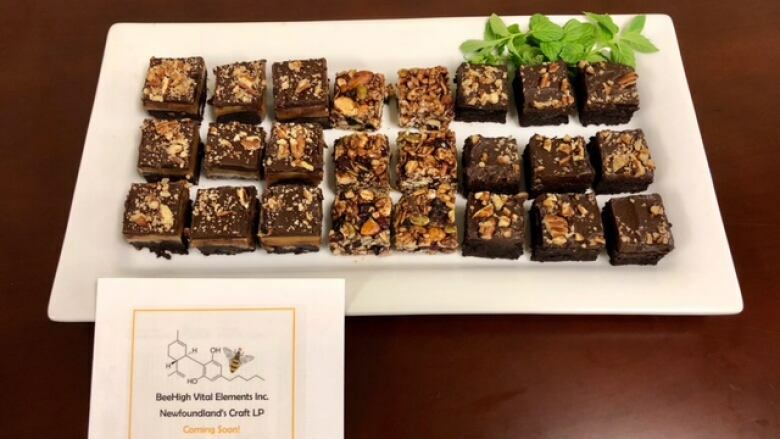 Although no official date has been set for the legalization of cannabis-infused edibles — with recreational marijuana use legal as of Oct. 17, 2018 — BeeHighve plans to produce the same line of products, without the cannabis elements before and after the legalization of edibles. "I don't think it's going to have a negative impact on the business at all. The honey is really generating a lot of interest," Hall said. Part of the interest is because of Newfoundland's uniquely thriving honey-bee population, who enjoy the benefits of a closed ecosystem comparatively free from mites and diseases associated with colony collapse. "They love the idea of mite-free, antibiotic-free honey. So I have no doubt that the production and sale of honey and the consumables without cannabis infusions will go very well." Eventually BeeHighve intends to get into the beekeeping business as well, allowing them to produce larger volumes of product in less time. Aside from the plans to export the cannabis-infused products — where legal — as well as the "buzz-free" ones globally, BeeHighve is looking to expand its production to another province. Partnering with the Madawaska Maliseet First Nation reserve in New Brunswick, crops will be cultivated on the reserve to later be infused with Newfoundland honey. Hall believes the partnership will be a fruitful one, and has great respect for the Madawaska Maliseet, whose senior leadership is entirely made of women. 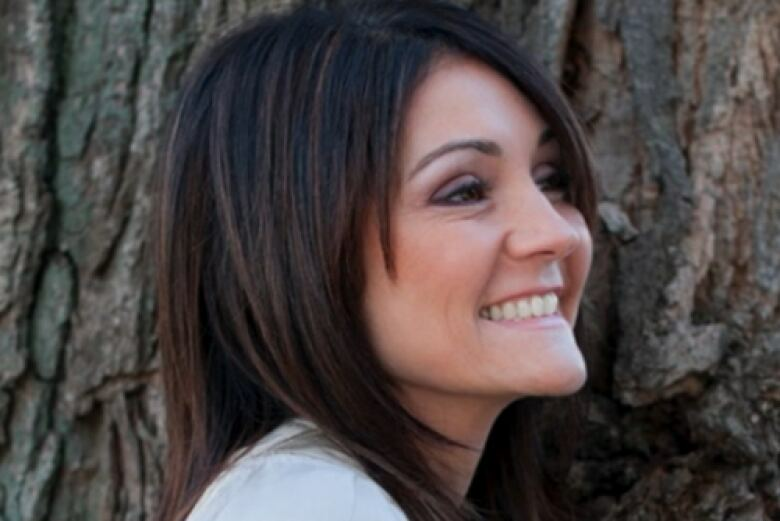 "It shows the strength of women in any marketplace. Women are really underrepresented in the cannabis industry right now, so it's, I'll say, a feather in our caps, no pun intended, to be a part of this industry as well." Hall has just as much faith in this venture as the one in Newfoundland. "We're very strong women and I think very successful, and we'll succeed at this as well."